Pony Tales Farm is a regular on the summer festival circuit, offering rides at festivals as far south as Canton, northeast to Ashtabula. Often, Pony Tales is at several different festivals over a given weekend. Pony Tales ponies are never hitched to metal pipes - only mature, human handlers handle our ponies at the fair! Our farm is dedicated to bringing ponies and children together through pony camps, seminars and festivals. We are home to several rescue ponies, all of which were headed to slaughter had we not purchased them. Some of these ponies are not ready to be ridden, but all ponies at our barn are treated with the same love and respect. We also offer programs for children with special needs, some of whom have thrived and grown from their exposure to our friendly ponies and patient staff. 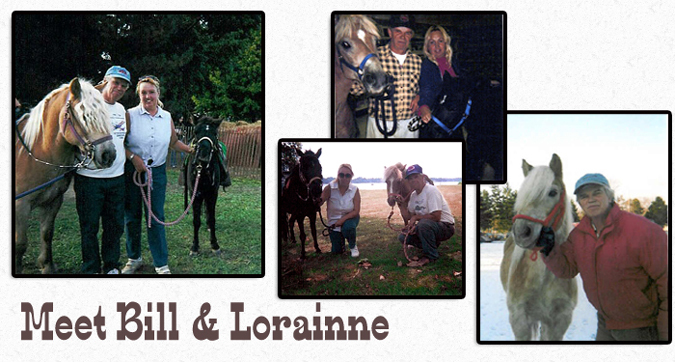 Lorraine and her husband Bill have spent their whole lives around horses and other animals. Their barn, located in North Ridgeville, is home to 9 ponies, a spry young colt and three horses, including a former racing pacer named Ruby. Pony Tales Farms gets its' name from the very children that it supports. Often these children come to their lessons with tales of previous pony rides, stories they know about horses and ponies, and hopes of owning their own ponies someday. Ms. Lorraine and the staff enjoy hearing these stories and encourage young children to dream about ponies. Pony Tales Farms offers many different programs throughout the year for children as young as age two to age twelve. Our programs are geared for the younger set, especially those small ones with limited attention spans! For the older, more experienced riders, our pony camp is offered in levels 1 through 3. We also hold group classes for 4H and Scouting programs. Be sure to call 440-891-9992 for details on how you can get your child involved in ponies.